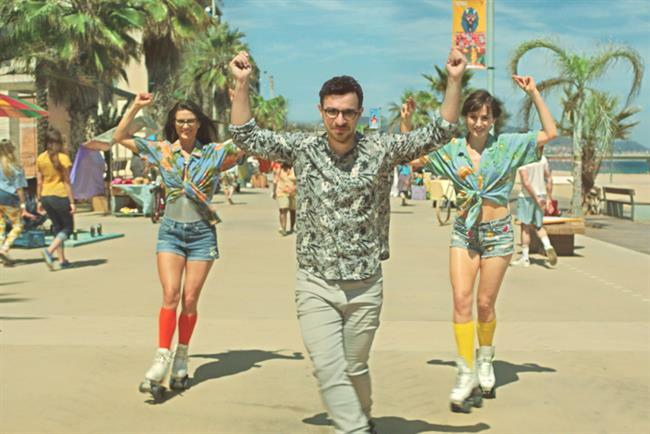 Simon Bird, the star of Channel 4 comedy The Inbetweeners, appears in a new travel campaign for the Post Office. The new ad, called "holiday", was created by DLKW Lowe and airs tonight (8 June) across all major TV stations. The spot opens on Bird picking up travel money from a Post Office. When the employee wishes him a happy holiday, Bird enters a fantasy where he roller-skates down a promenade as a re-recording of Holiday plays. The ad ends with the line "feel good before you go". Bird said: "It’s a pleasure to be a part of this campaign and work with a well-loved national institution like the Post Office. "I jumped at the chance to dust off my wheels and dip into my now-legendary portfolio of ice-cool, popping-fresh dance moves." DLKW Lowe was appointed by the Post Office in 2014 after a competitive pitch against Ogilvy & Mather and WCRS. The new ad was directed by Agustin Alberdi through Stink, and the 40-second spot will be supported by shorter versions, press, online, and outdoor activity. Mindshare handled the media buying. Before releasing the "holiday" ad, the Post Office released a making of video in which Bird brags about his skating ability before being caught in his lie by the presence of his stuntman. Pete Markey, the Post Office's chief marketing officer, said: "The new campaign puts the focus firmly on the customer, showcasing the positive transformative effect the Post Office can have – in this case with travel insurance and travel money. "This is a refreshing new campaign from the DLKW Lowe team which clearly demonstrates how the Post Office is changing to meet the needs of its customers."